Christmas: The Aftermath. | An alien voice under a duvet of dreams. 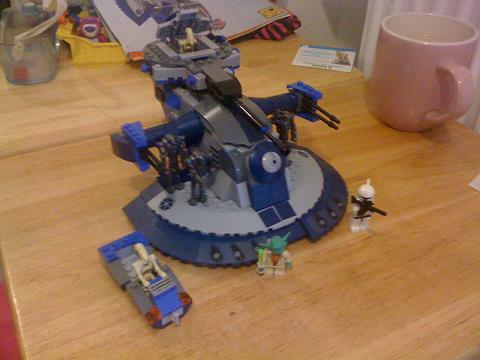 Posted by phoenixaeon in Building work, Christmas, Lego. 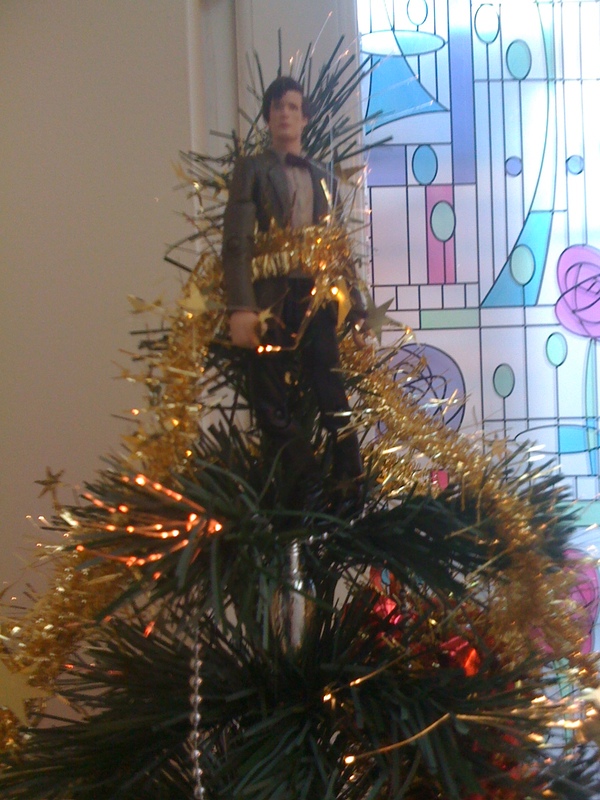 Who's that on top of the tree? Phew! Another Christmas done and dusted. And while it wasn’t perfect (woke up to -13 degrees C on Christmas morning, brrr! ), it was good. Princi enjoyed it, with her wealth of Toy Story goodies and some other stuff thrown in. Grandand felt the full force of Lego rage while building Lotso’s dumper truck, while I was left to build RC to a backing track of The Nightmare Before Christmas, Princi’s new favourite film. She’s even singing along with the songs now. 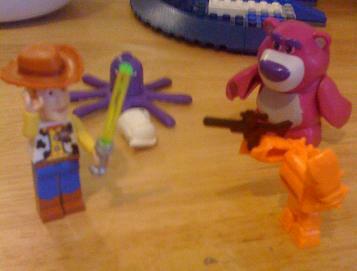 I tell you, the people who devise those Lego toys are totally crazy! They are so intricate, it’s unbelievable! But good fun to build. Well, it depends what you’re building. RC wasn’t too bad but Boxing Day introduced a whole new kettle of fish: the Star Wars Amoured Assault Tank. That monster took at least three hours to build. I was very proud of Princi because she built up almost all of the base. I found the pieces she needed (that was a task in itself – three bags of small to large bits and three little bags full of tiny fiddly pieces) and then she inspected the ‘manyool’ to work out the positioning of the piece. 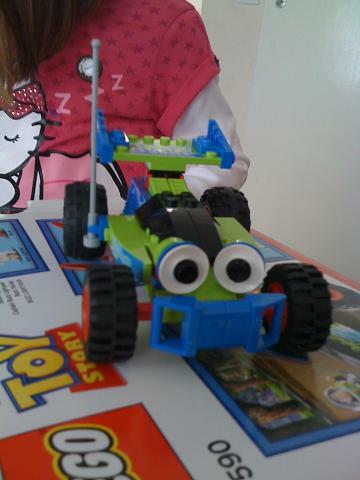 As you can see, Princi has had loads of fun already with the Lego, to the point that she’s already lost bits off them. I am already sick of being the running repair mechanic, every five minutes the call of ‘Mummy, can you fix this?’ rings out. But she’s starting to discover the engineering behind it all and tries to fix the broken bits before running to me.